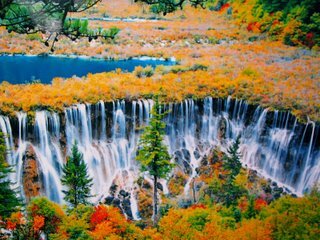 Jiuzhaigou Valley is one of the most beautiful National Parks in the world, and definitely the number one National Park in China. 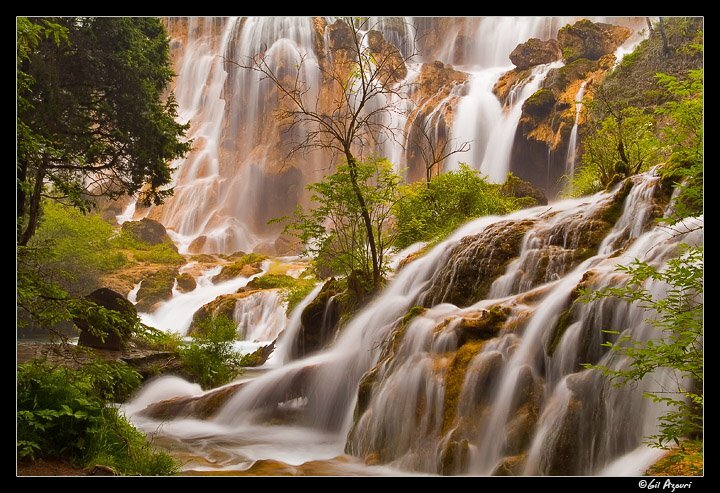 If you like Alpine landscapes, streams and waterfalls you should not miss the Jiuzhaigou Valley. Currently this is one of China's top tourist destinations among Chinese visitors, but it is still not very well-known among foreigners. If you have already visited China's main tourist cities, and want to see an amazing natural environment, you should add Jiuzhaigou Valley to your destinations list. 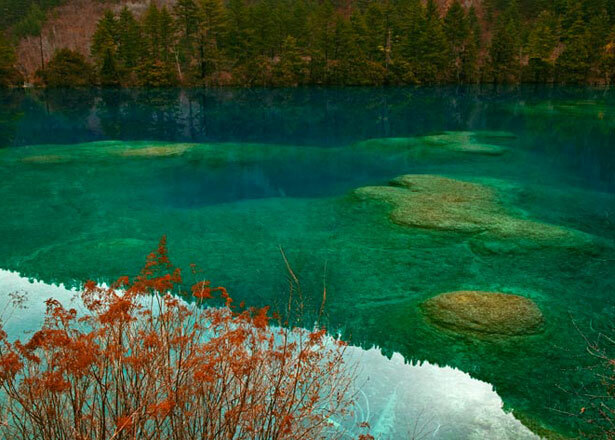 It is said that if there should be wonderlands on the earth, Jiuzhaigou Valley must be one of them. There is no equal elsewhere that has sceneries and fables of dreamlike eloquence, or natural purities like a fairyland as Jiuzhaigou Valley.Jiuzhaigou Valley is located in Nanping County, 450 kilometers (about 280 miles) to the north of Chengdu City. 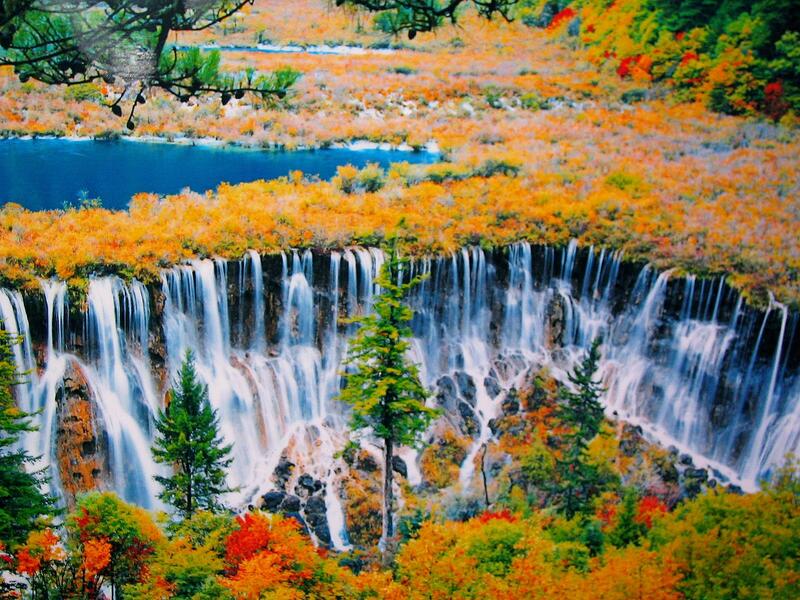 Its name is due to the existence of nine stockaded villages of Tibetan origin, and it is always regarded as a holy mountain and watercourse by the Tibetan people.Jiuzhaigou Valley is a great masterpiece of nature having dreamlike scenery and abundant natural resources. It combines blue lakes, waterfalls, verdant forests, snow-covered mountains, and the folk customs of the Tibetan and Qiang peoples. Legend has it; that long, long ago the deity of mountain named Dago had a crush on the goddess Semo, and he gave a mirror that was made from wind and cloud to the goddess. However, the devil appeared and made trouble to Semo. Inadvertently, Semo broke the mirror into 108 pieces, which fell down to the earth and then turned to 108 colorful lakes. The lake is also called Haizi by local people. Shuzheng Valley is a main tourist route of Jiuzhaigou Valley. It is about 14 kilometers (about nine miles) in length with over 40 lakes, representing 40% of all the lakes in Jiuzhaigou. The major scenic spots in Shuzheng Valley are Double-Dragon Lake, Bonsai Beach, Reed Lake, Spark Lake, Tiger Lake, Shuzheng Waterfall, Rhinoceros Lake, and Nuorilang Waterfall, etc. Peacock River is 310 meters (about 1,017 feet) in length and wends along the deep valley with flowers and trees on its two sides. The water appears in a cacophony of varietous colors: dark green, golden, and sapphire blue. When autumn comes, the forests are covered with hoarfrosts and the fallen leaves are bestrewed all over the lake. When seen from above, the bright and clear water flows in a colorful world and it is like a peacock displaying its fine tail feathers. 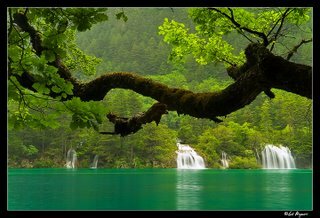 The pride of Jiuzhaigou Valley, Five-Flower Lake lies at the end of the upper reach of Peacock River, 2,472 meters (about 8,110 feet) above the sea level and five meters (about 16 feet) in depth. Most of the colorful leaves are gathered in the lakefront and interlaced as brocades. The water that contains calcium carbonate as well as hydrophytes with different colors presents a versicolor sight, azure blue, blackish green and light yellow, etc, so it is named Five-Flower Lake. The local people say that it is a holy lake, and where there is the water, there must be flourishing flowers and trees. When looking down from the mountain, you will find that the lake with hills on three sides is just like a huge upended cucurbit pouring colorful water to the lower place.